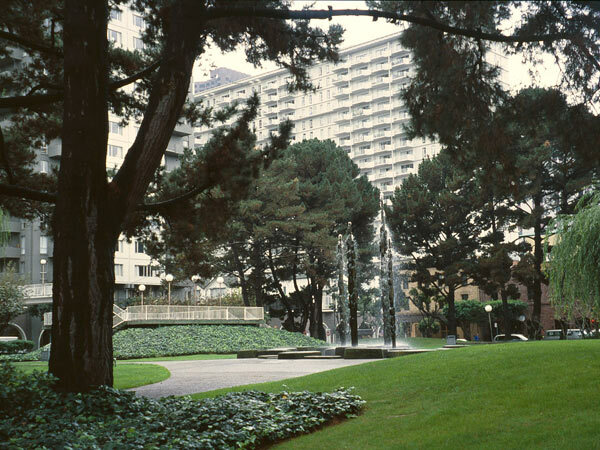 In 1960, Sasaki, Walker and Associates joined the architectural firms of Wurster, Bernardi and Emmons and DeMars and Reay in a competition to design the Golden Gateway, an urban renewal site for the Redevelopment Agency in downtown San Francisco. 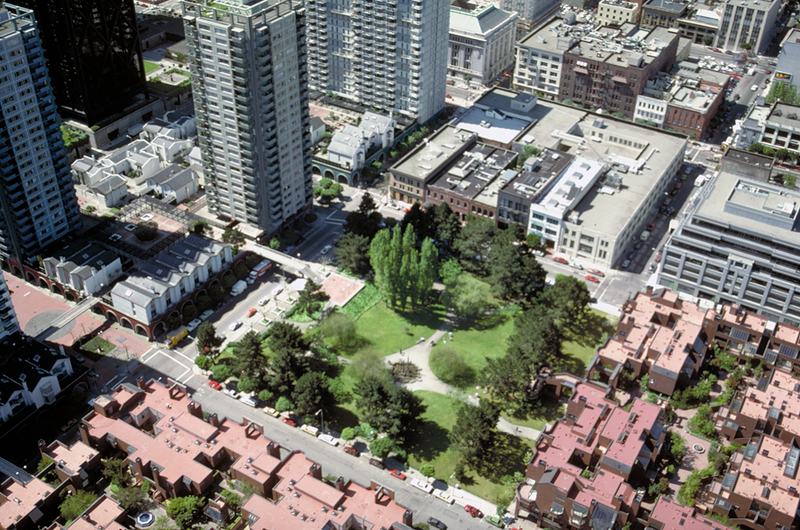 Conceived as a city within a city, the ten-acre Golden Gateway utilizes pedestrian-friendly plazas, staircases, and courtyards as respite from the urban environment. 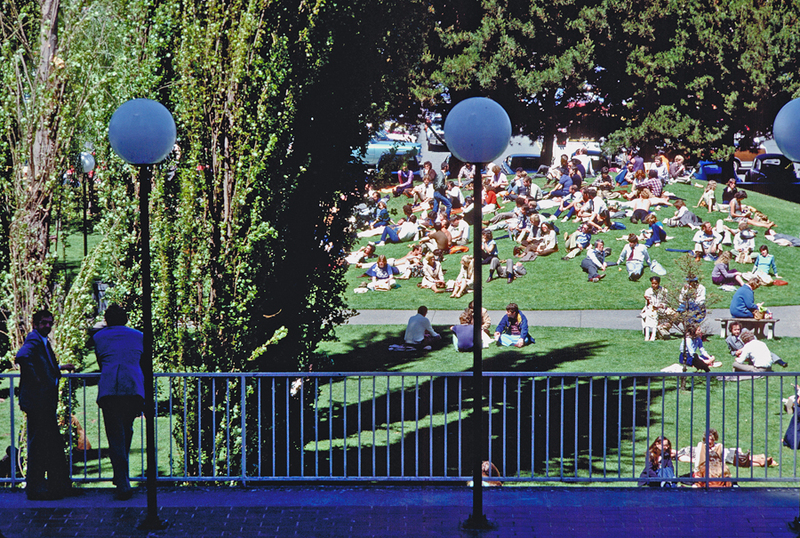 The two-acre site for Sydney G. Walton Square was designed by Peter Walker to suggest an alpine meadow, with the park itself an open green and “mountains” represented by the surrounding high-rise buildings and townhouses. 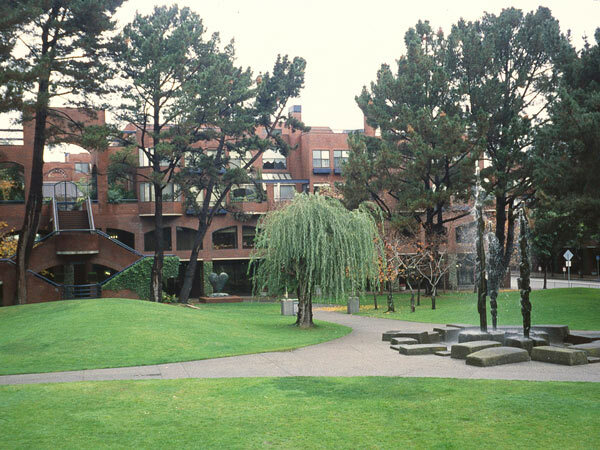 Open stairways connect to the elevated townhouses and courtyards of the Davis Court area of the development. 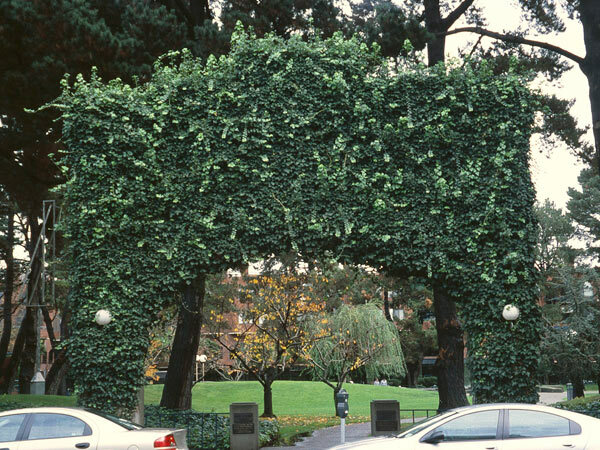 The park’s landscape includes open expanses of lawn separated by curvilinear concrete paths, groves of pines, willows, and poplars, an old masonry arch covered with ivy, and a sculptural fountain. 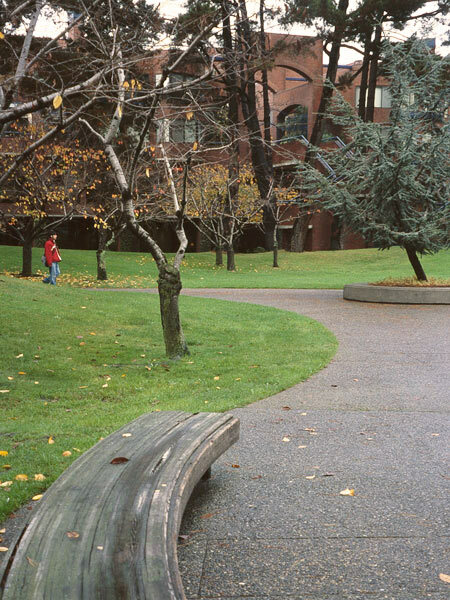 Berms around the perimeter of the site buffer the park from the surrounding streets; along the street, deciduous trees with raised square benches provide seating and shade. 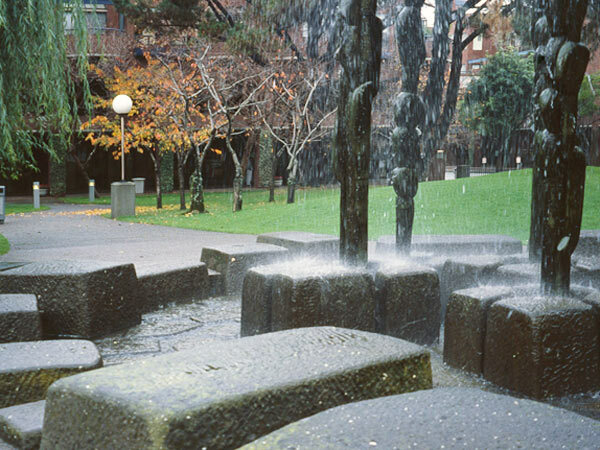 The Golden Gateway developers were required to set aside $1 million for public art, and the Francois Stahly cast bronze Fountain of Four Seasons sits as the centerpiece of the park. 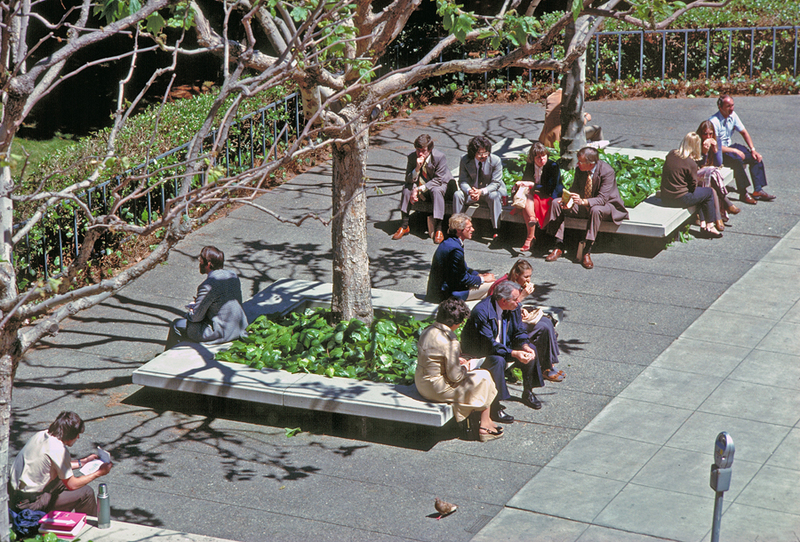 Walton Square is a popular lunchtime gathering place for people working in the nearby Financial District.